How to edit the transferred indents? All the raised indents are received and listed out in TRANSFER -> RECEIVED INDENTS to view the received indents. 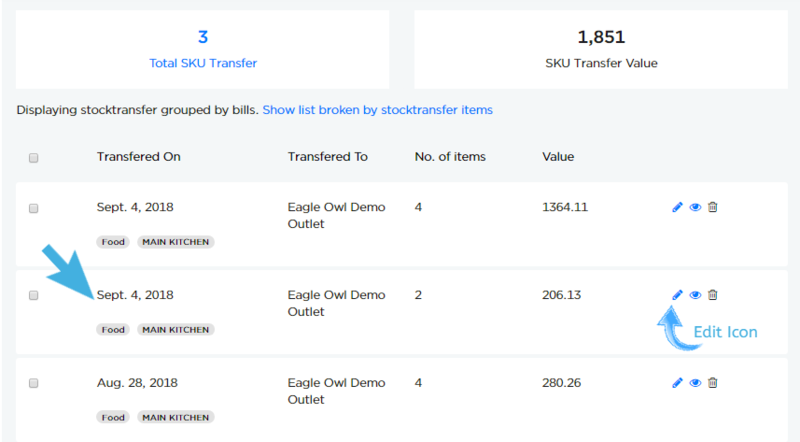 As shown in above example, on click of Transfer Icon the indent will be transferred to "Eagle Owl Demo outlet"
Quantity has to be mentioned as "zero" for the unavailable items. You can edit the values before saving the stock transfer. 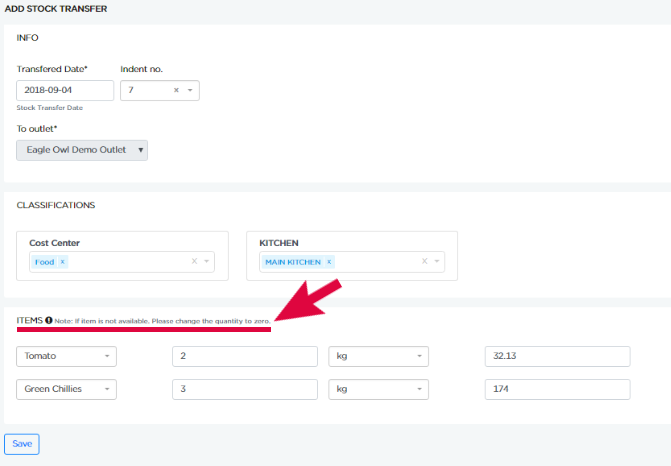 As shown below, on clicking Save the indents will be saved as SKU transfer in TRANSFER -> SKU page.